← Uncle’s Birthday Cake: Vanilla, Strawberry, Salted Caramel Cake! 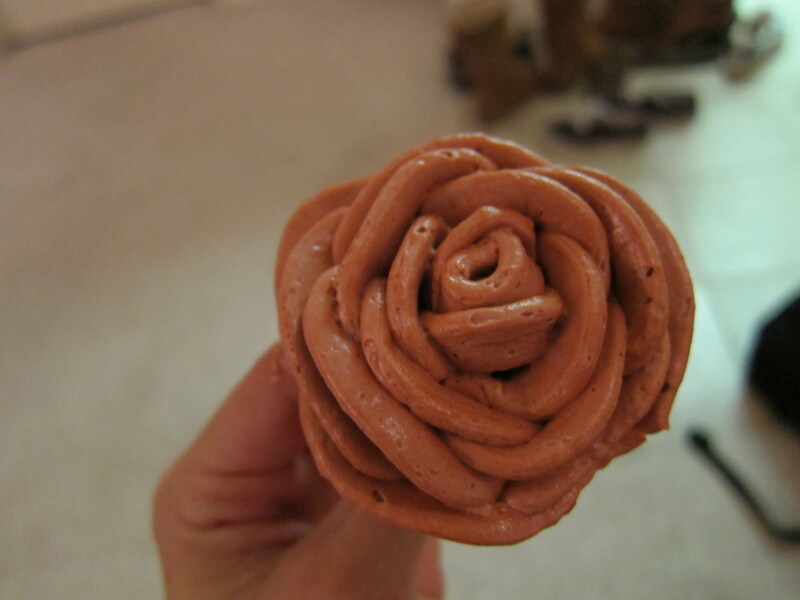 I’ve always wanted to try my hand out at buttercream roses, but I’ve been to too scared. So I went online and checked out a couple of tutorial sites and decided to give it a try! I think they turned out pretty good for my first try! So the video I used was this one. 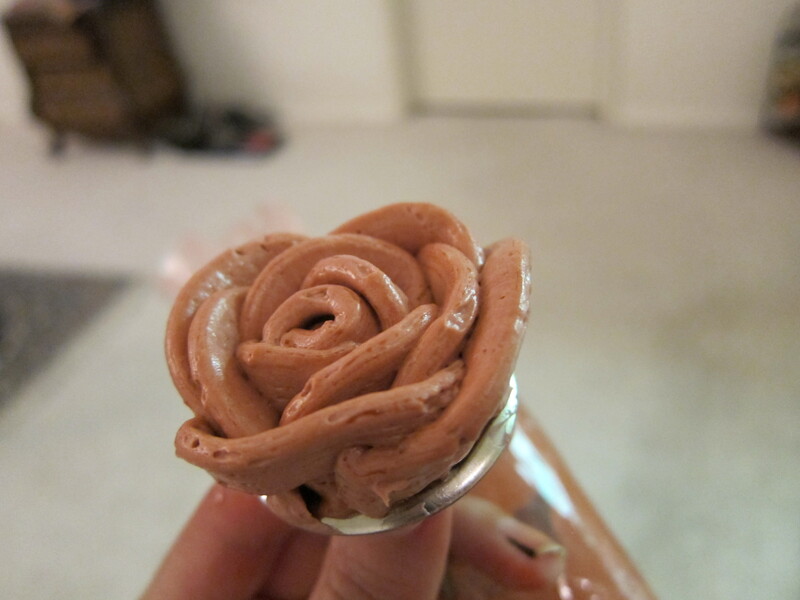 It’s the most simple tutorial and had the easiest roses to make. 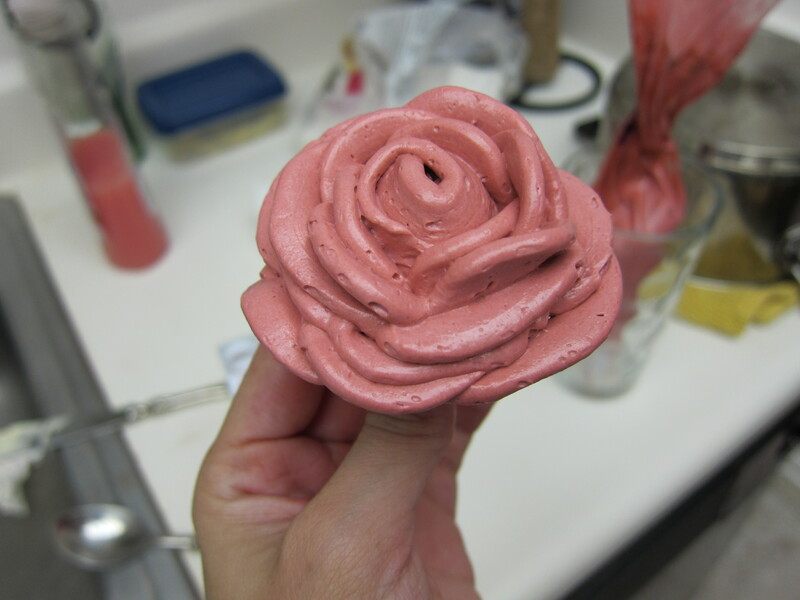 So, if you have never made frosting roses before, I’d go with that tutorial, there are more difficult and more beautiful roses in different tutorials which hopefully, I will get to soon! And, of course, I’ll share my progress of that with you! 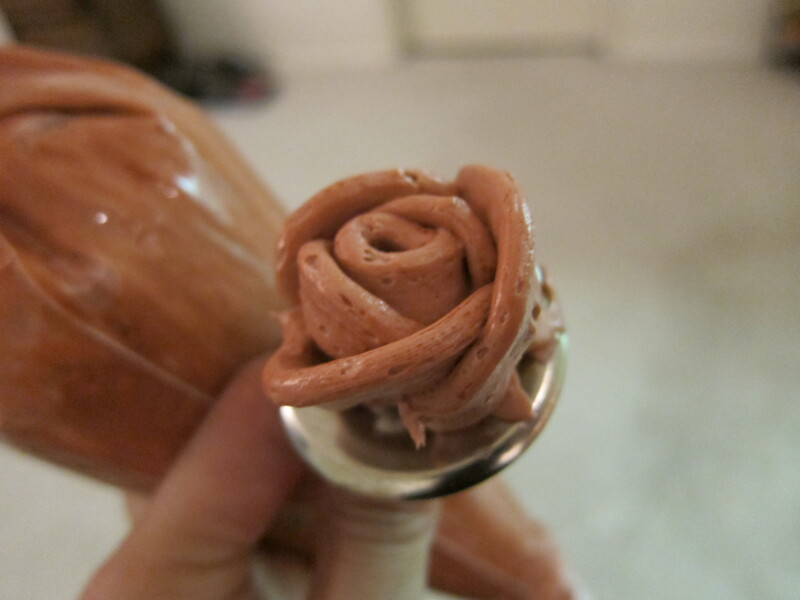 I’ll go over step by step how I made my first buttercream roses based off the video I just shared. It’s a very light and creamy batter, yum! 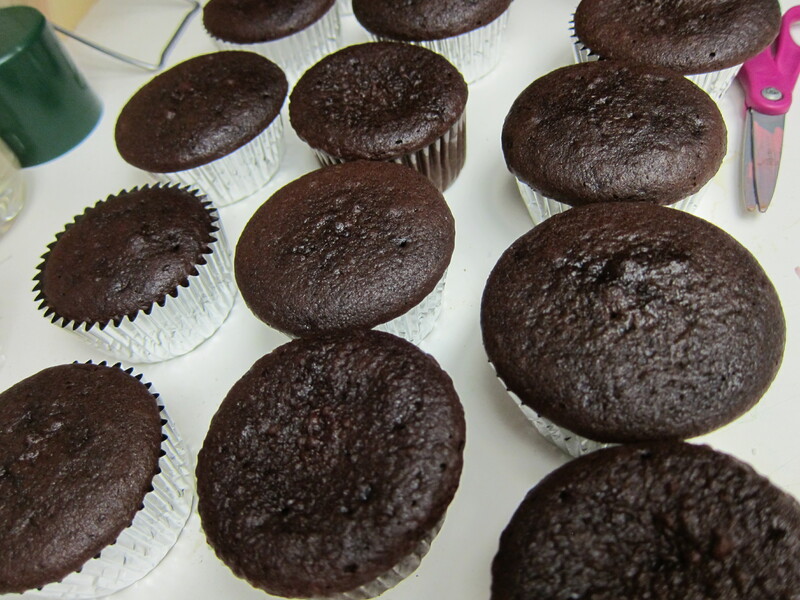 Pour batter into your prepared cupcake pan and bake for 20-25 minutes. Now, you’ll need a rose pin. This rose is pin is #7, they come in different sizes, but I think #7 works really well for medium size roses. 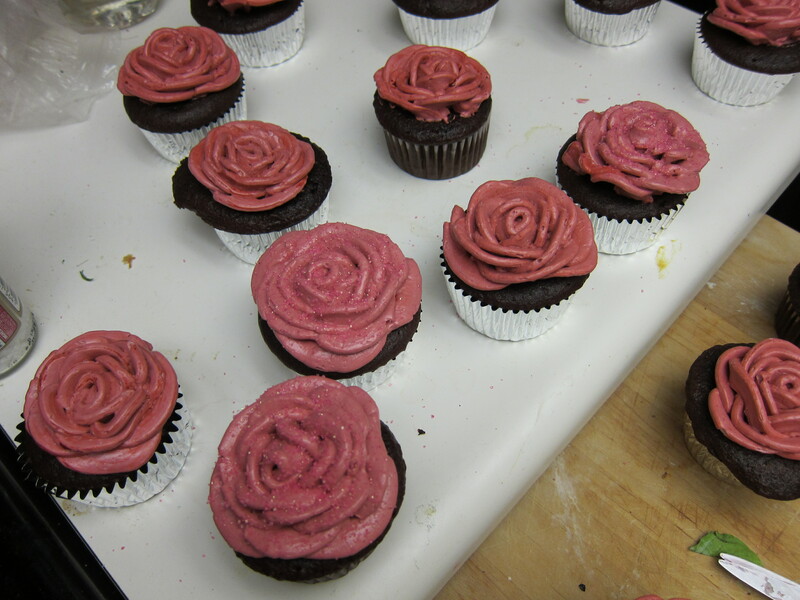 Then you need long scissors, wax paper cut into squares that will inscribe the circle of the rose pin [I did not do this and later regretted it], and tinted, stiff buttercream in a piping bag that has a rose tip on it. Now, as I said, I didn’t use wax paper. 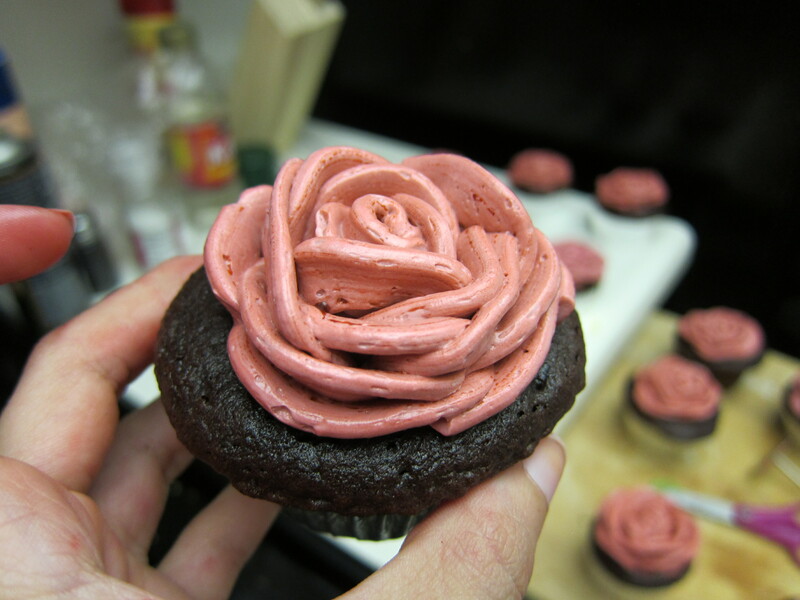 The tutorial I used didn’t use the wax paper, but that’s because they piped the rose on directly to the cupcake. 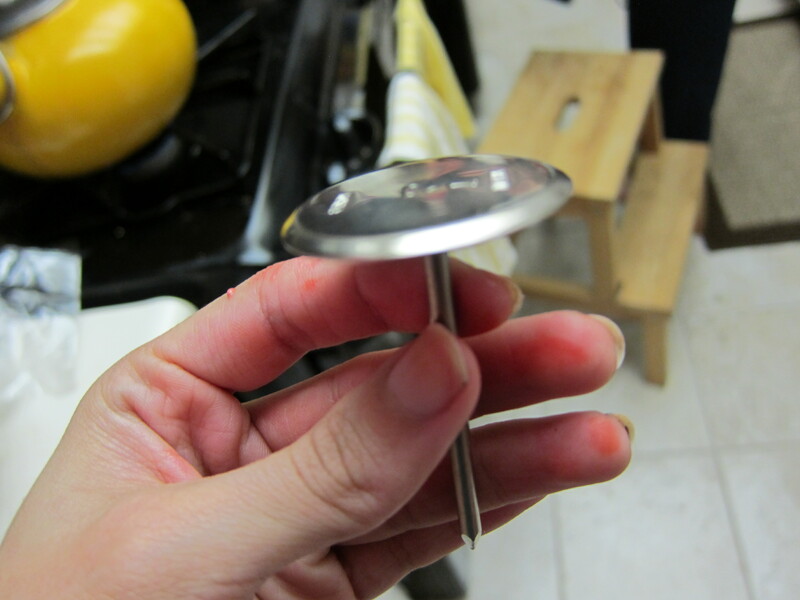 If you don’t use wax paper and use your rose pin, the rose will start to slip and slide on the pin after it gets heavier and you have to be really careful. 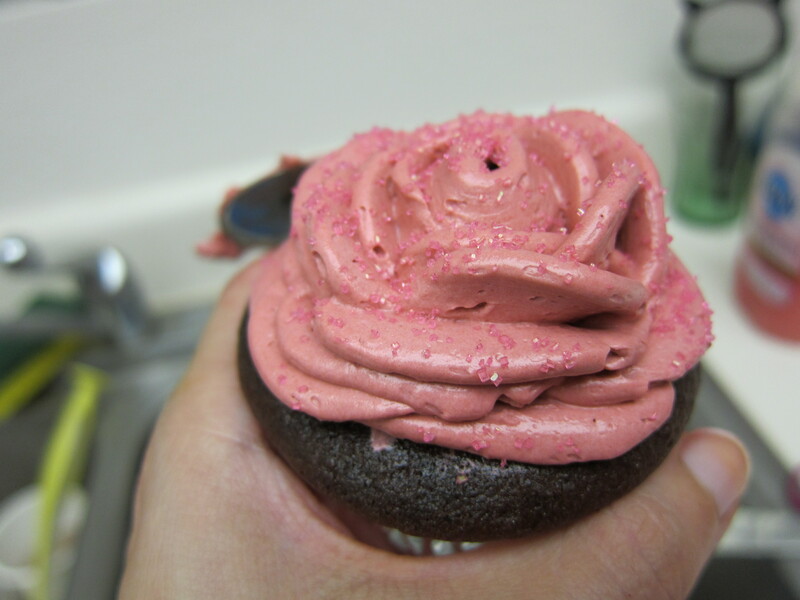 So I would recommend blobbing on a little bit of buttercream onto the rose pin and then sticking on your wax paper square to the pin. This way the rose will be made on your wax paper square and it won’t slip as much. Now, have the wider end of the tip on the bottom and the narrower end pointing to the sky. 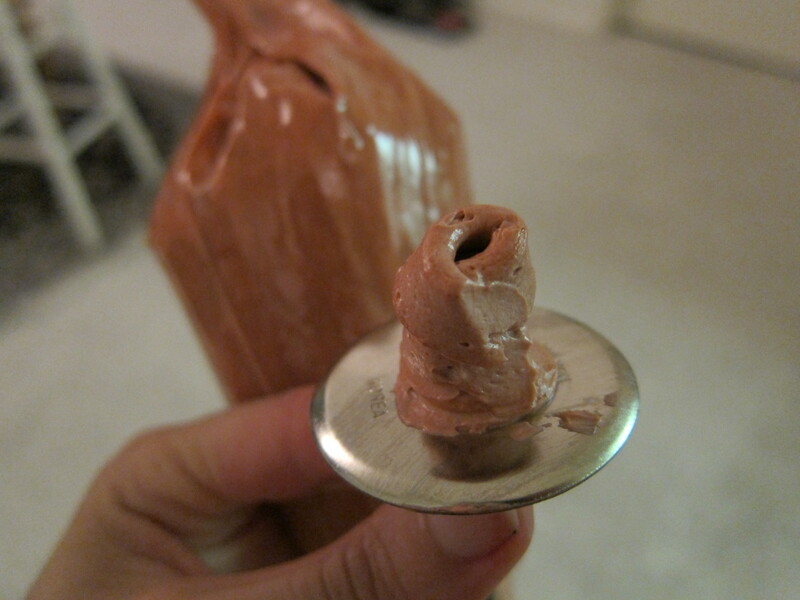 Pipe on a stout cone of frosting. Then pipe on another cone on top of your stout cone. Now, in an arch motion, pipe on two petals, one on each side. Then in that same arch motion, pipe on 3-4 petals around the last two you made. Then, keep going, adding larger petals that overlap on the outside to make the rose grow in size. Tadaa! Now, here’s the tricky part. Grab your scissors and open the wide, place the rose in-between the open blades. 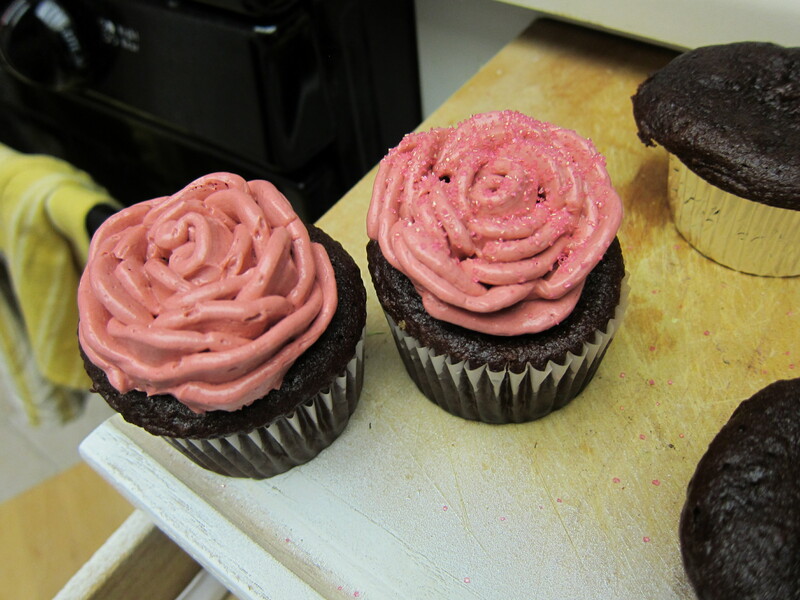 Slowly close the blade underneath the rose until each blade is under the base of the rose, but the blades have not closed completely, lift off the rose and place the rose on your cupcake. Slide the blades out from under it. 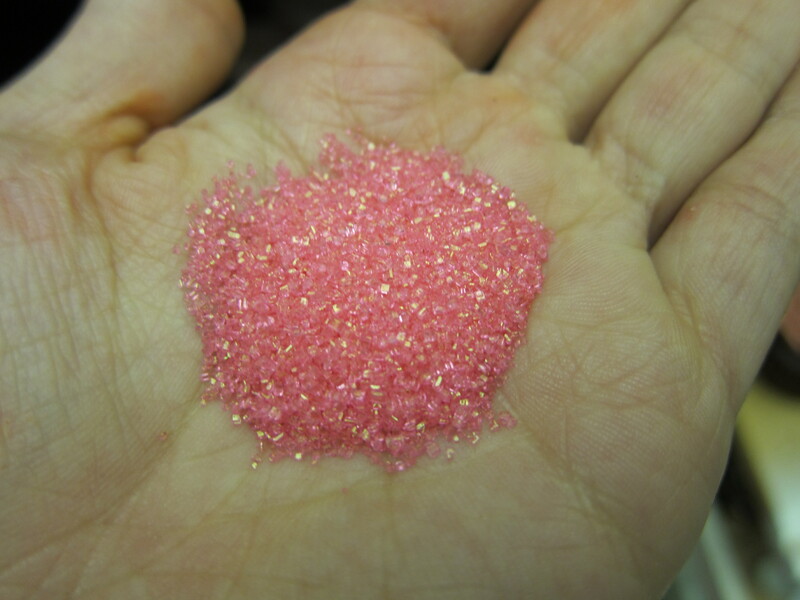 This is a slight of wrist that will come to you as you keep piping them. 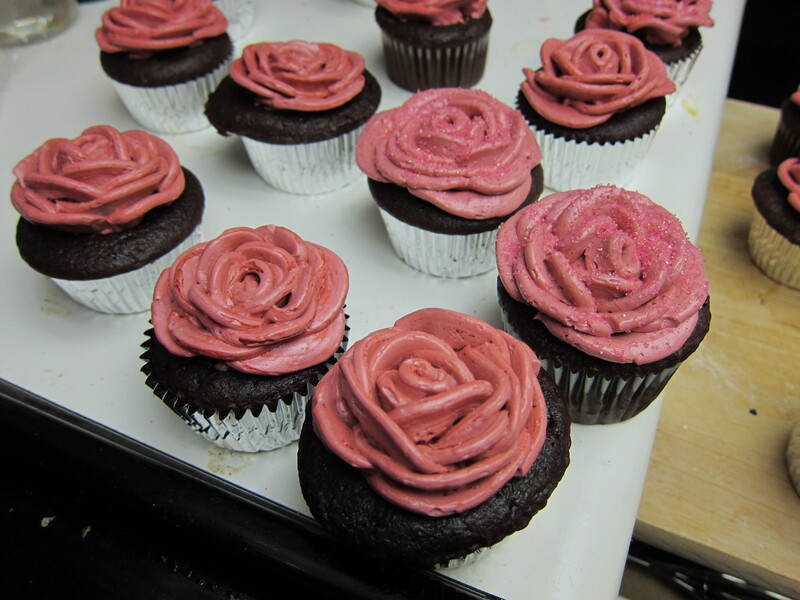 I gave some of these cupcakes to my SAT students, so I sprinkled some pink sanding sugar to add some whimsy! 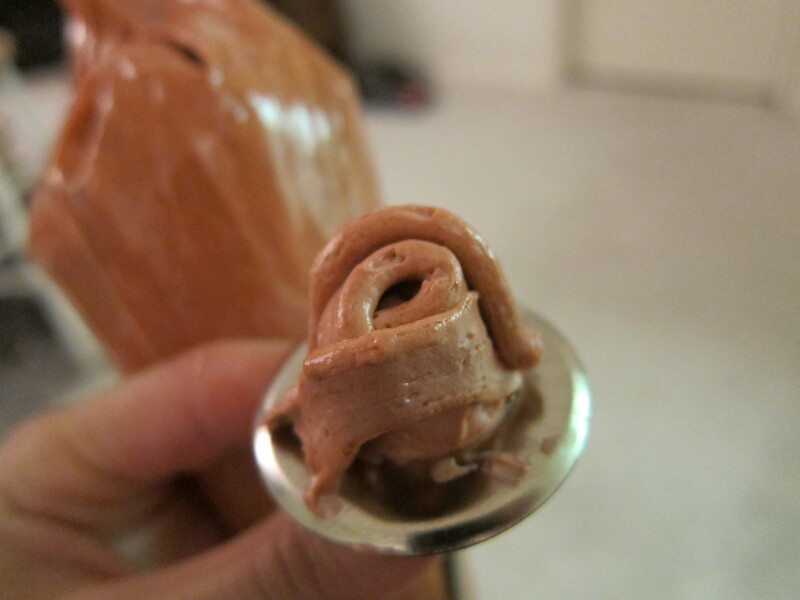 In a medium bowl, sift together cocoa, flour, baking powder, and salt; set aside. In a mixing bowl, cream butter and sugar until light and fluffy. Beat in eggs, one at a time, then beat in vanilla. Reduce speed to low. Add the flour mixture alternating with sour cream, starting and ending with the flour mixture. Divide batter among cups, filling each 3/4 full. 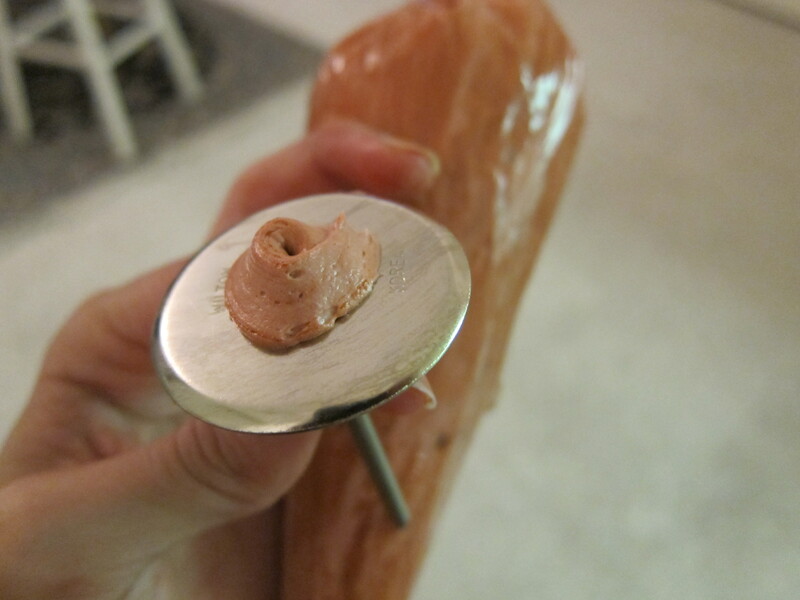 Bake until a toothpick inserted in center comes out clean, 20 to 25 minutes. Cool 5 minutes in pan, then transfer to a wire rack to cool completely. 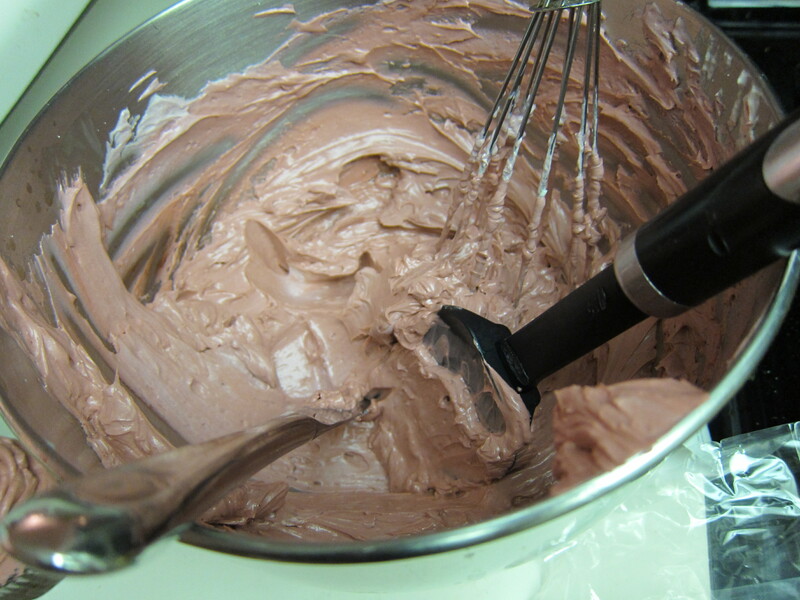 To tint buttercream , reserve some for toning down the color, if necessary. 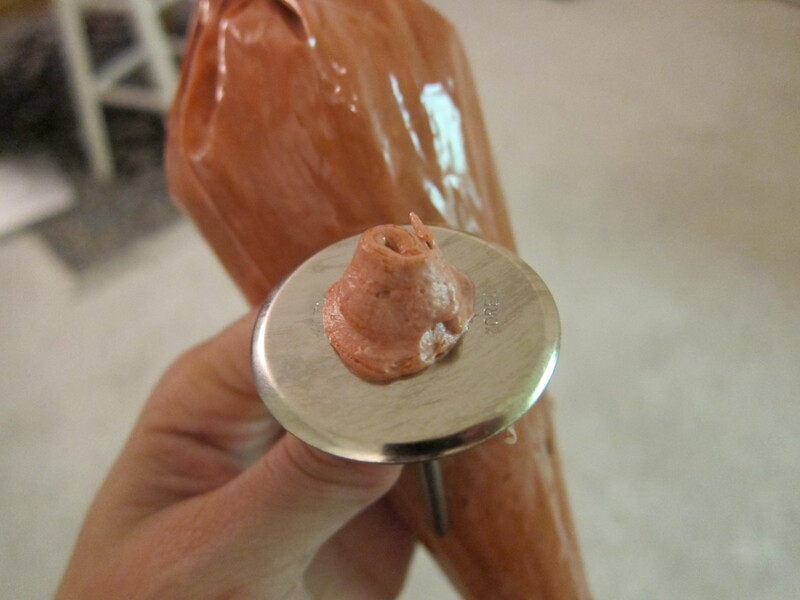 Add gel-paste food color, a drop at a time (or use the toothpick or skewer to add food color a dab at a time) to the remaining buttercream. 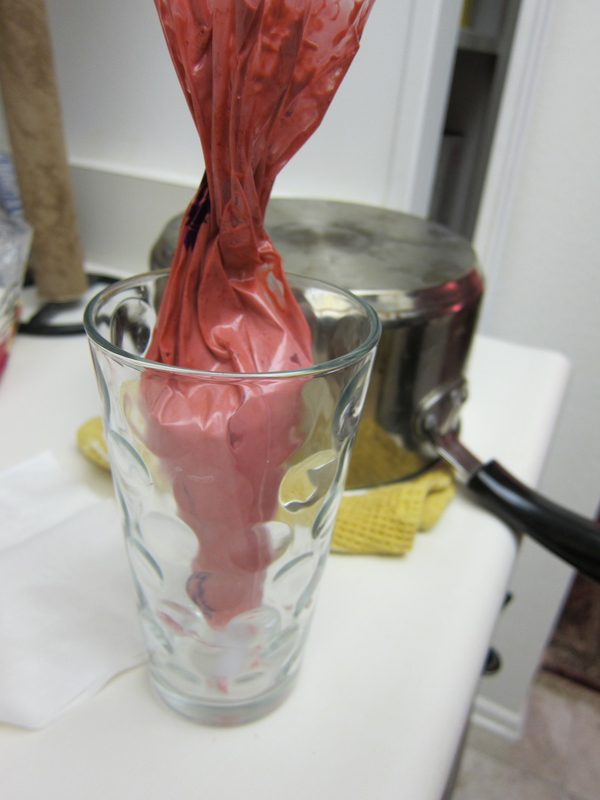 You can use a single shade of food color or experiment by mixing two or more. Blend after each addition with the mixer (use a paddle attachment) or a flexible spatula, until desired shade is achieved. 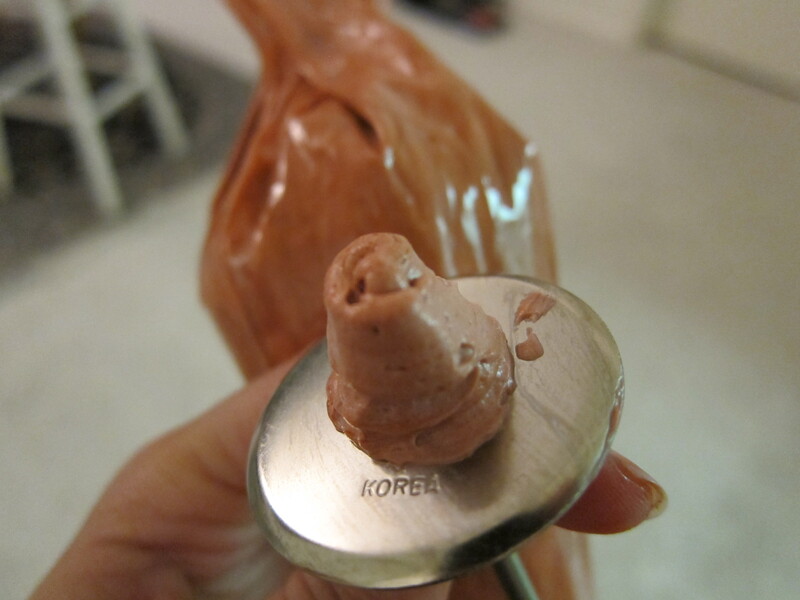 Avoid adding too much food color too soon, as the hue will intensify with continued stirring; if necessary, you can tone down the shade by mixing in some reserved untinted buttercream.